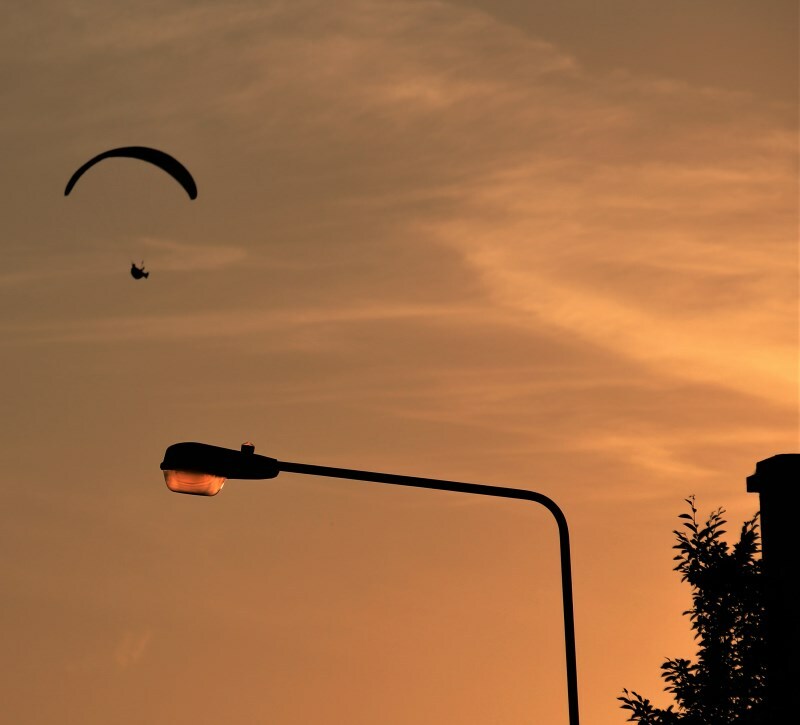 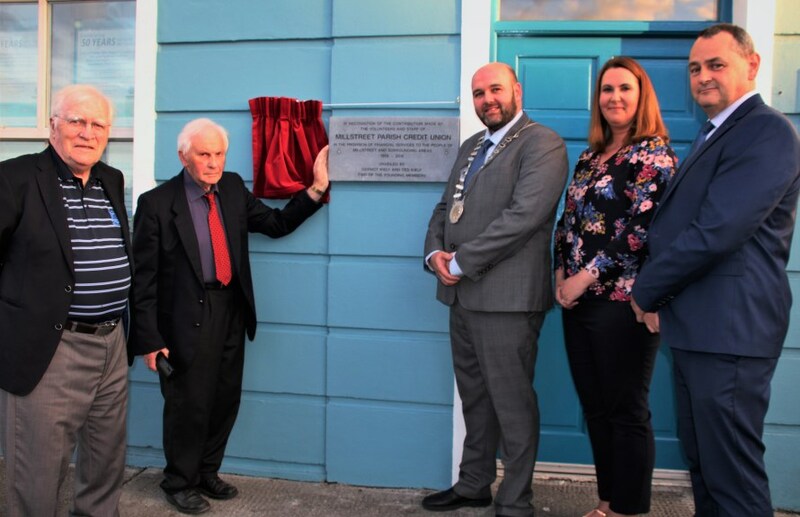 Coinciding with the exact moment of unveiling by Dermot Kiely – Donal Cashman superbly guided his hang-glider into Millstreet Town Park! 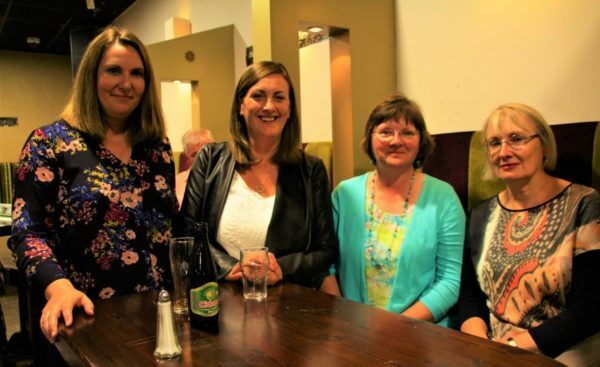 Members of the Staff of Millstreet Parish Credit Union – From left: Bridget Fitzgerald (Manager), Catherine Daly, Mary Crowley and Bernadette Goulding. 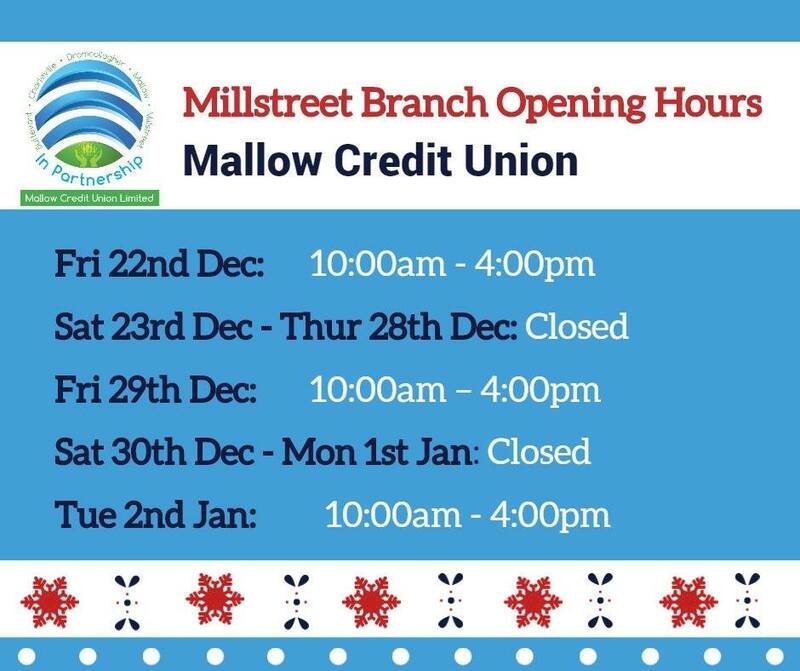 The board & staff at Mallow Credit Union would like to wish everyone a very Happy Christmas & a Peaceful New Year. 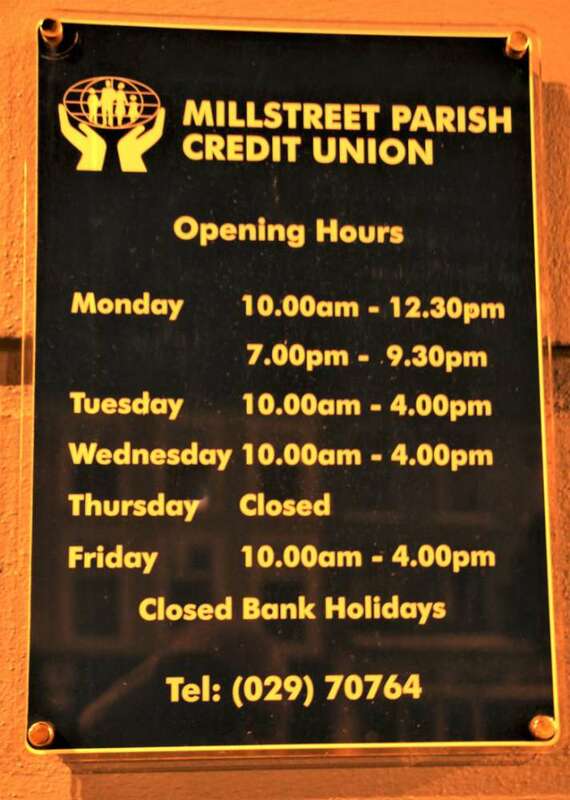 Due to the weather warnings in place for Ex-Hurricane Ophelia, Millstreet Parish Credit Union have made the decision to stay closed on Monday 16th October, 2017. We apologise for this inconvenience. 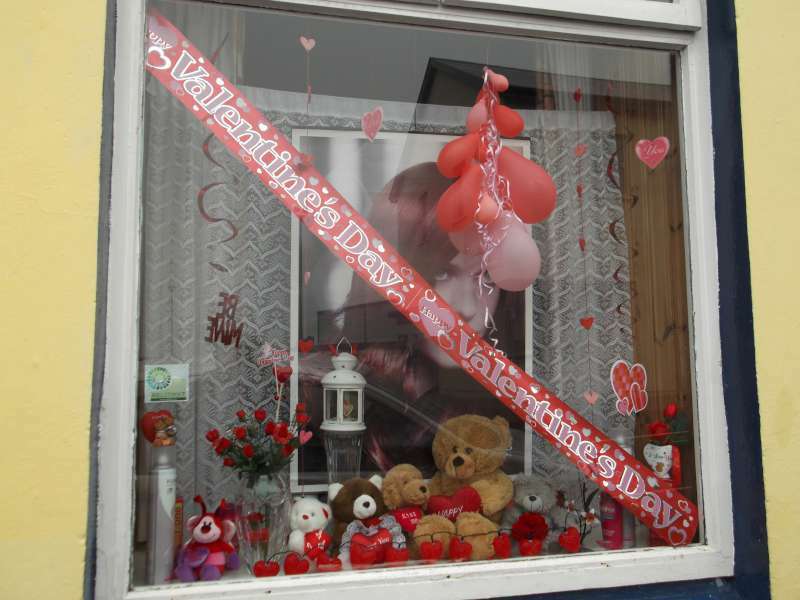 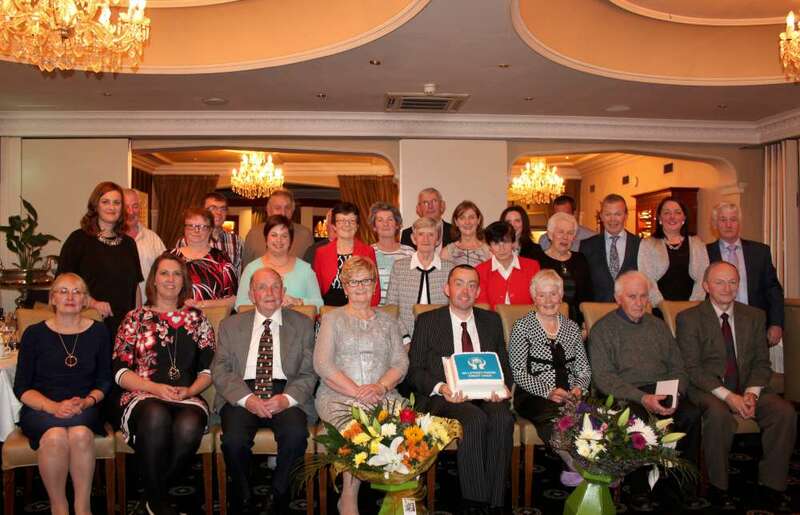 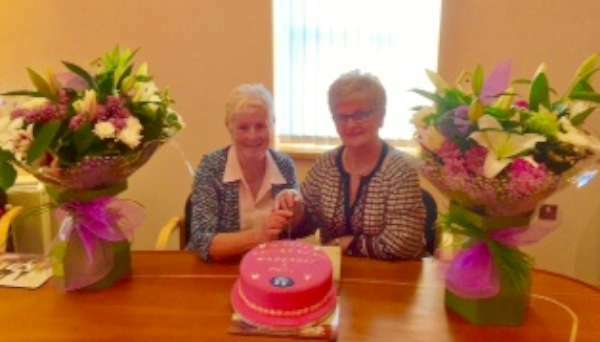 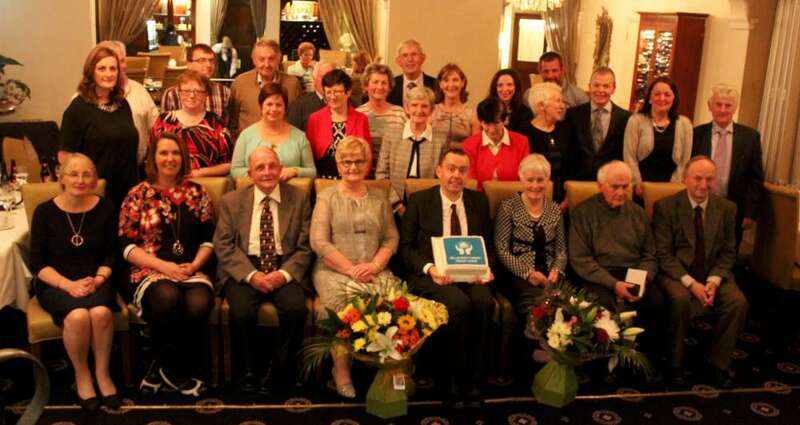 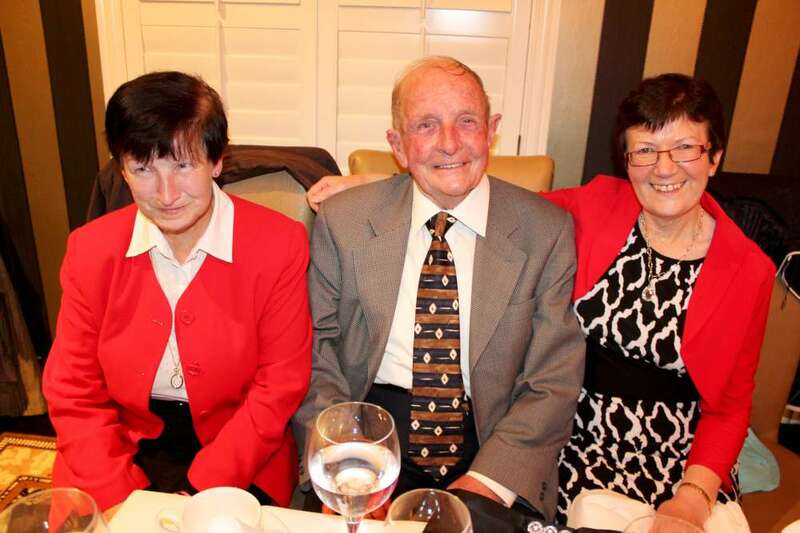 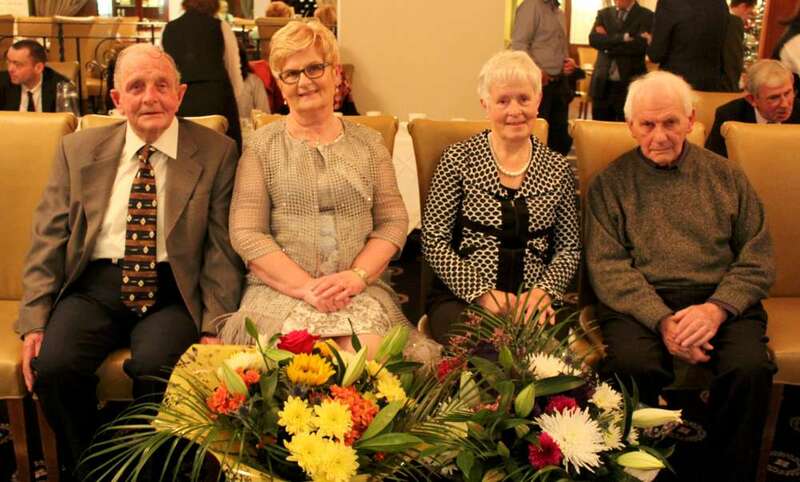 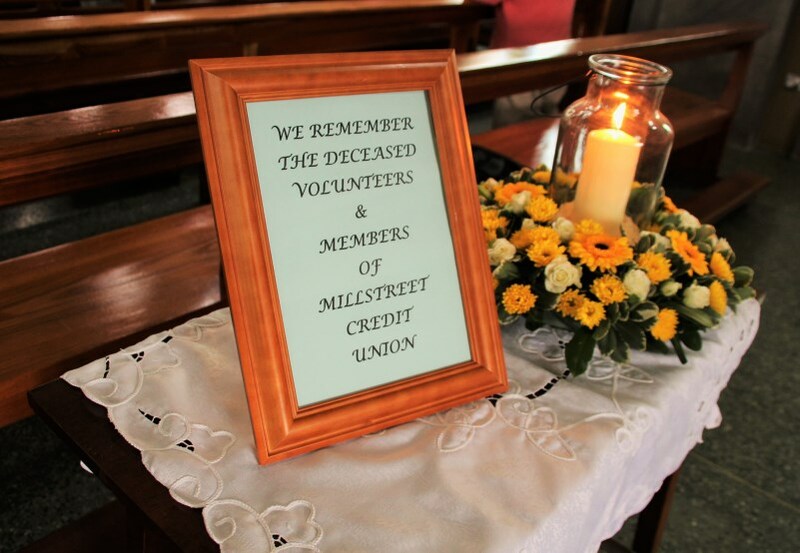 Margaret & Phil wish to express heartfelt appreciation for the many flowers, Mass Bouquet Cards, Greeting Cards, Texts, Emails, Gifts and very kind words of thanks – all received in recent weeks when it became known that Phil and Margaret had retired from Millstreet Credit Union. Their friendliness, assistance and advice was greatly valued by so many. 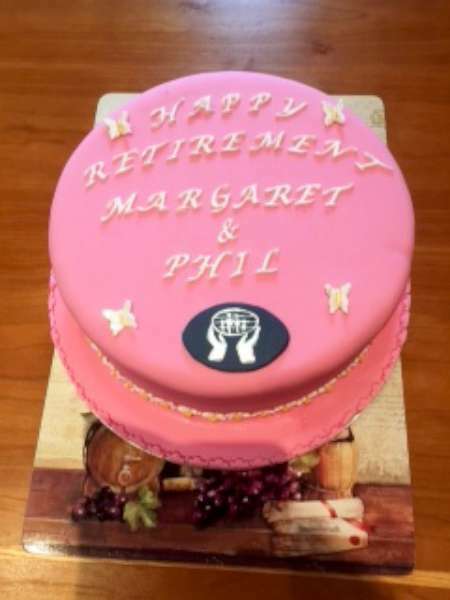 Every happiness, fulfilment and contentment to both throughout a long, healthy and relaxing retirement. 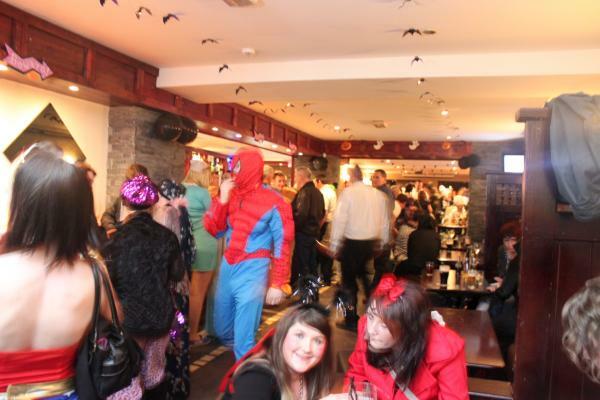 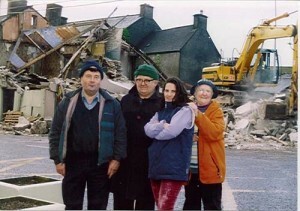 Pictured here at “Nibbles”, West End, this morning. RELATING TO THE WEEK WE ARE CLOSED. 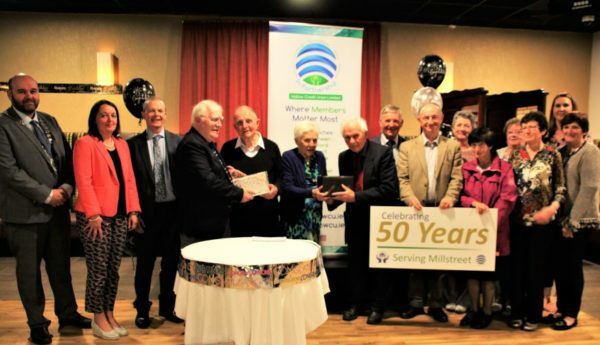 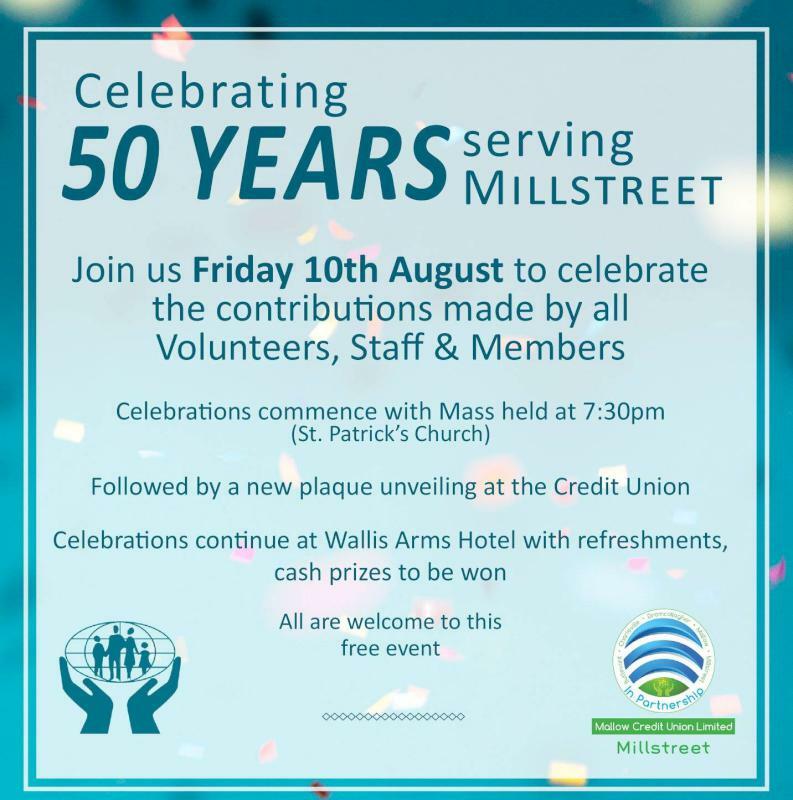 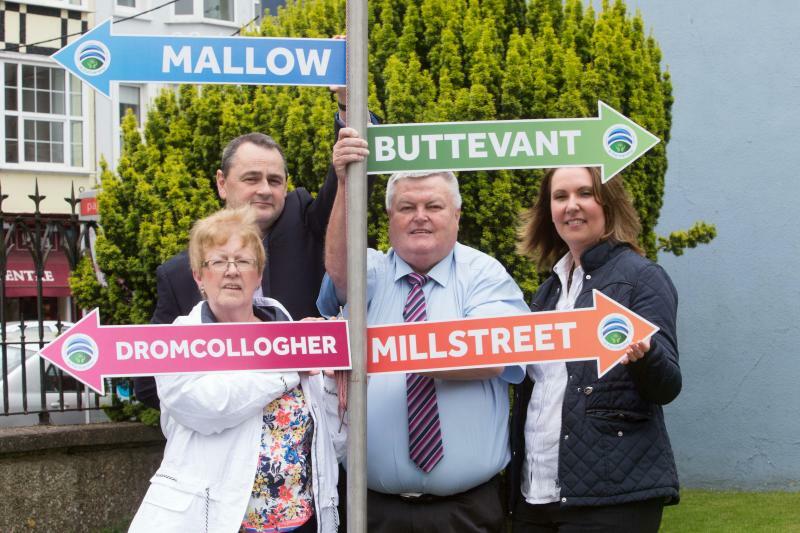 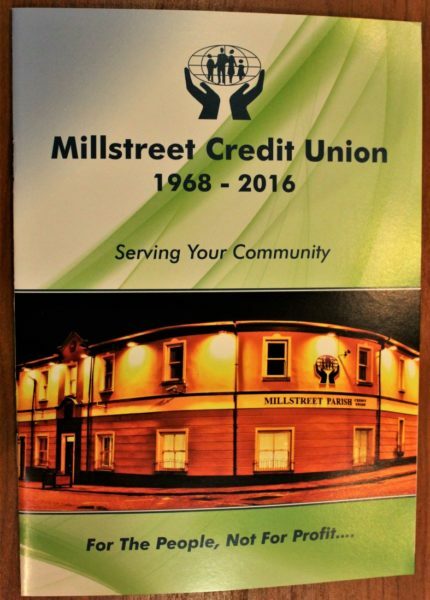 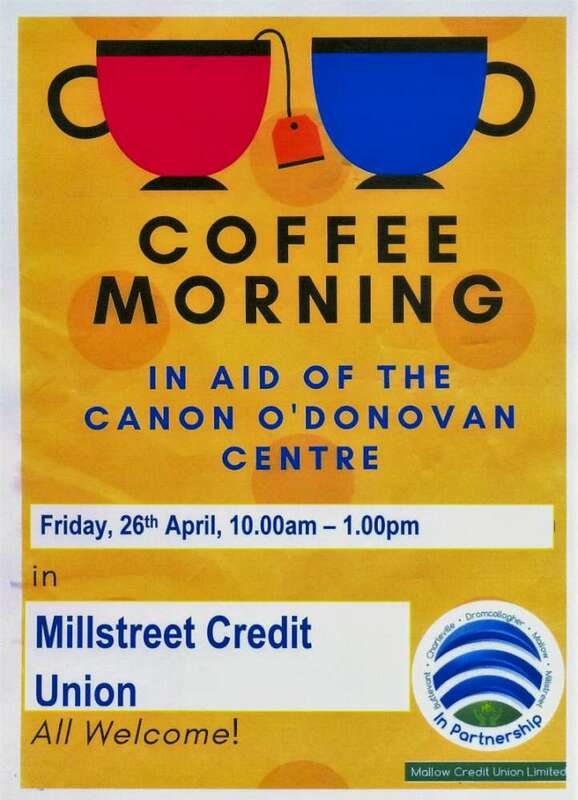 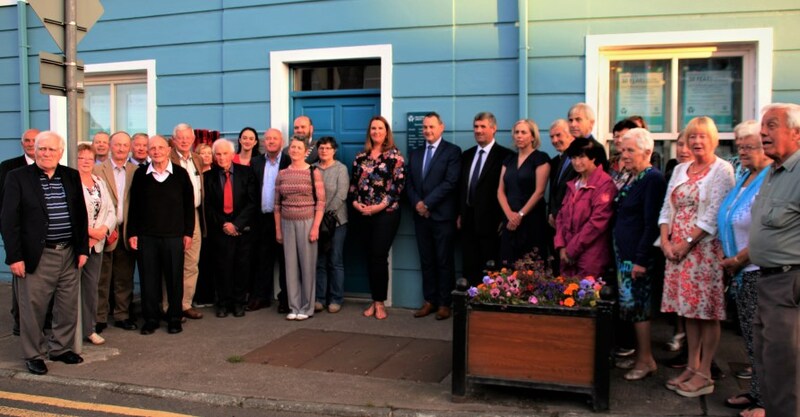 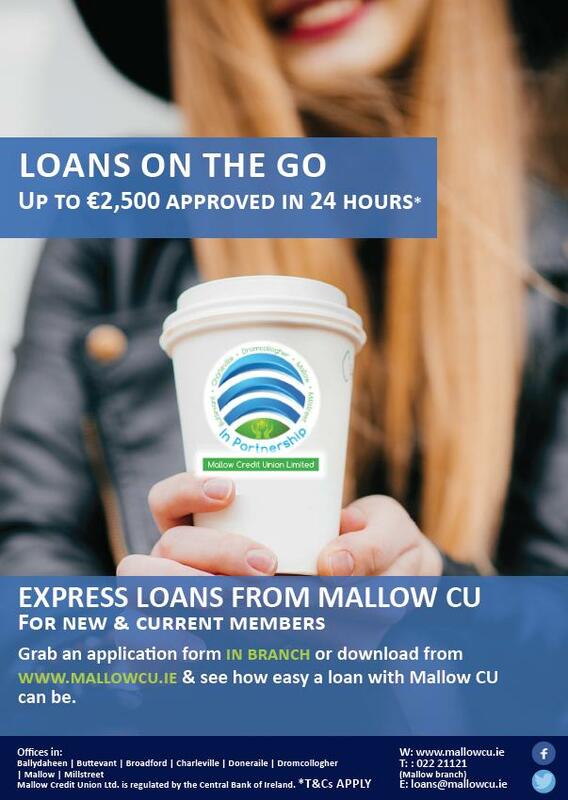 A move that will see Mallow Credit Union Limited merge with Buttevant & Doneraile Credit Union Limited, Dromcollogher Credit Union Limited and Millstreet Parish Credit Union Limited has been announced. Reporting to the manager, we are seeking two conscientious people for the positions of Teller/Clerical Officer. 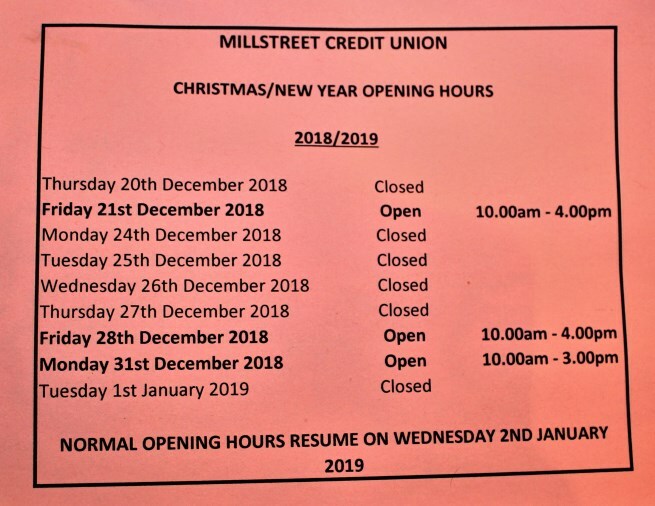 Duties will include providing a quality service to members, dealing with member queries at the counter and on the phone, processing transactions, back office administrative/clerical duties and other administrative duties as required.The position will require flexibility with regard to working hours. Please apply by forwarding your CV and a covering letter that explains why you are the right person for the role by post to Bridget Fitzgerald, Manager, Millstreet Parish Credit Union, The Square, MillstreetTown, Co.Cork or by email to: millstcu @ eircom.net before close of business on Tuesday 14th June 2016. 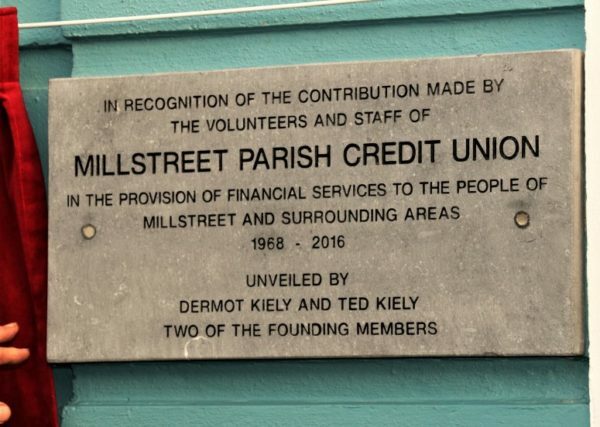 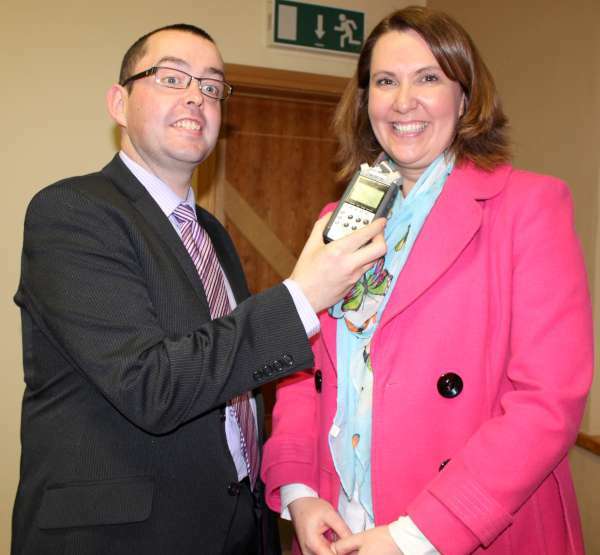 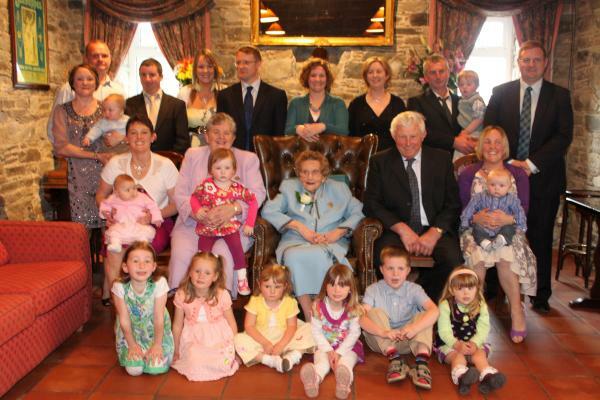 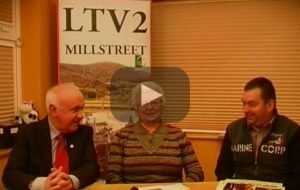 Millstreet Parish Credit Union is an equal opportunities employer. 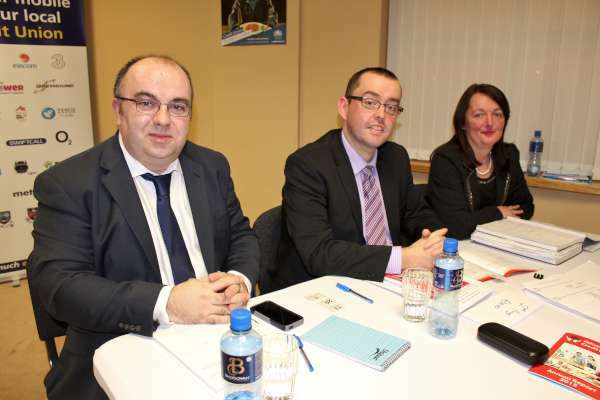 Canvassing will disqualify. 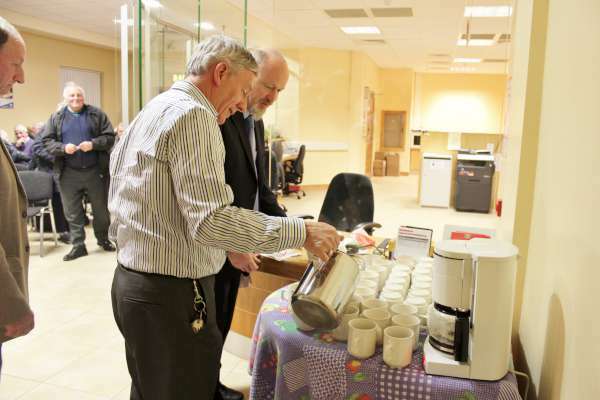 We may short list candidates for interview. 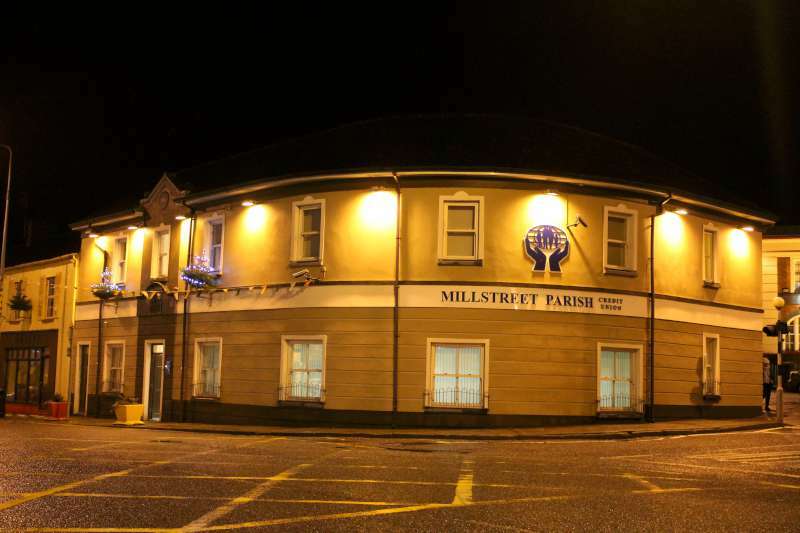 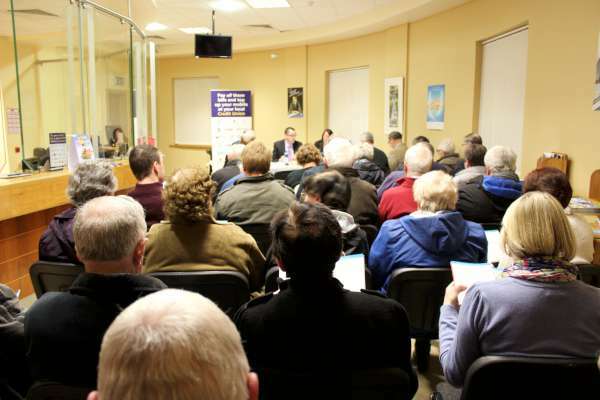 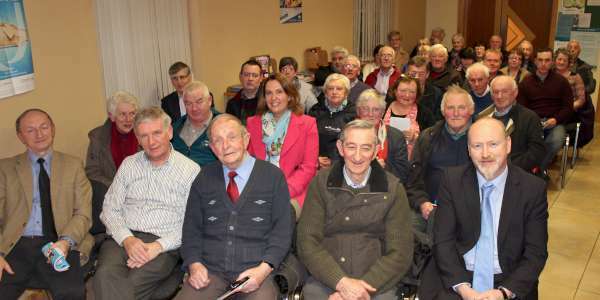 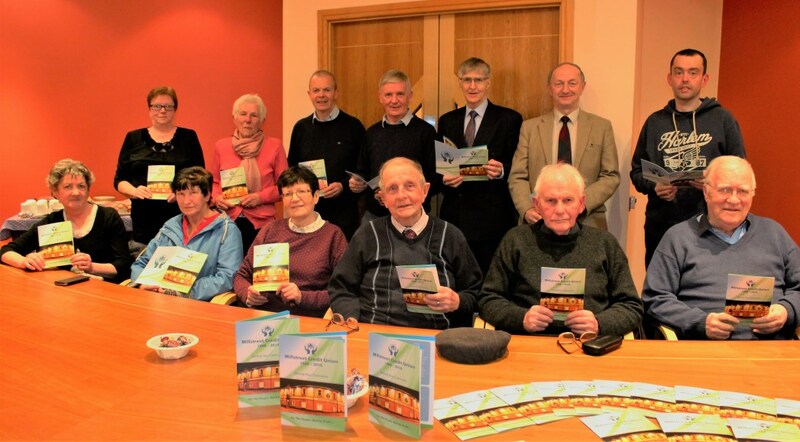 Millstreet Parish Credit Union is regulated by the Central Bank of Ireland. 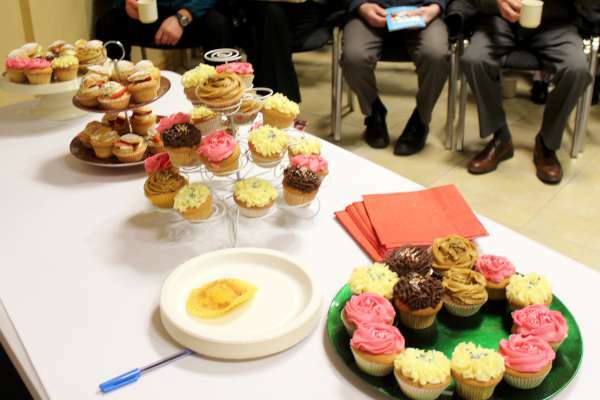 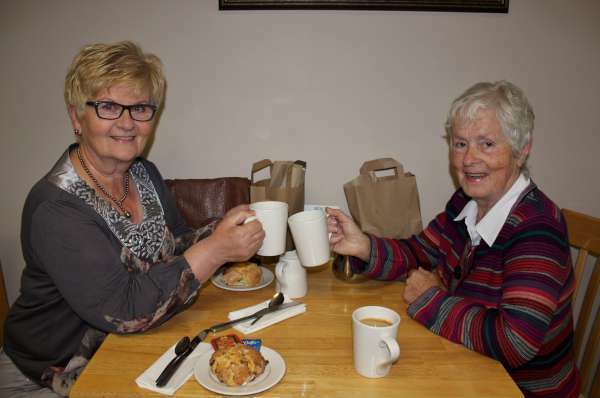 Superb refreshments were served following the very successful meeting. 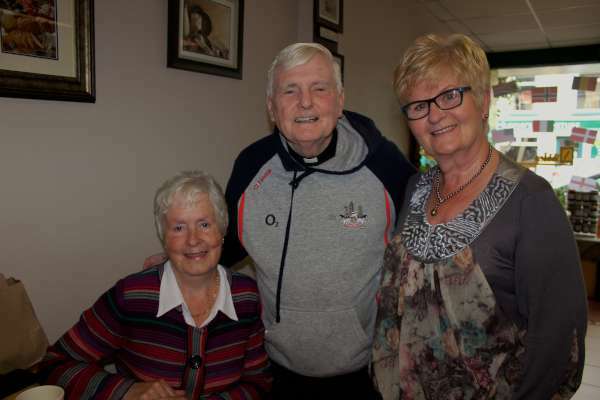 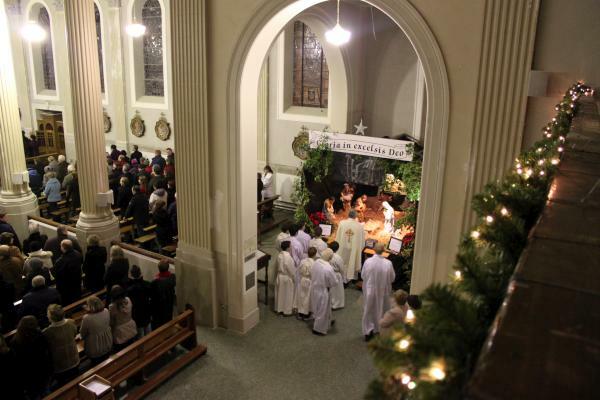 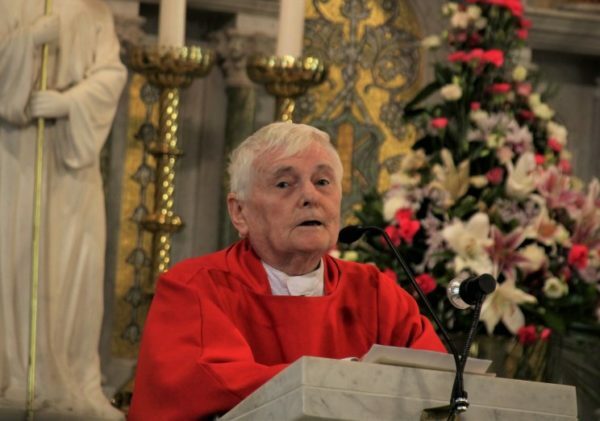 Dermot Kiely paid special tribute to the late Fr. Denis Quirke who officially blessed the original headquarters in Church Street well over 40 years ago. 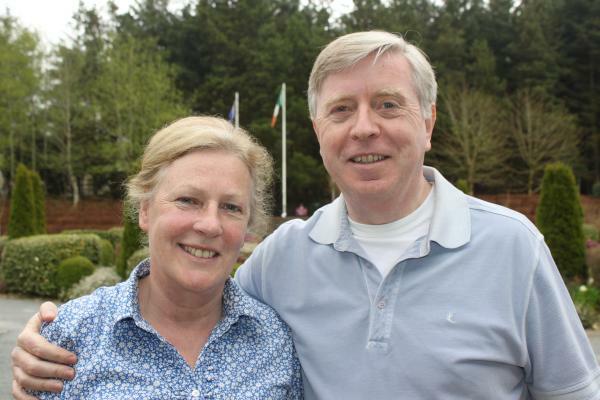 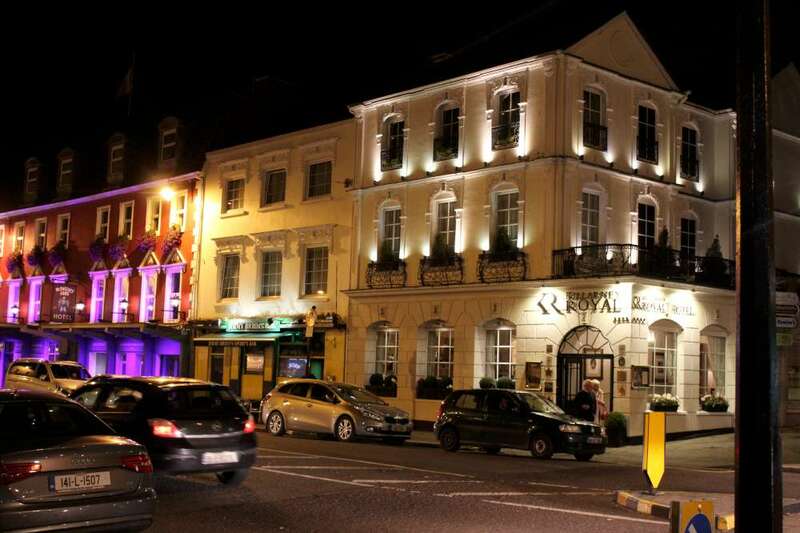 We interviewed Manager Bridget Fitzgerald and Chairperson Joseph Lawler and this will be heard at 10pm on “Radio Treasures” on www.corkmusicstation.com on next Tuesday. 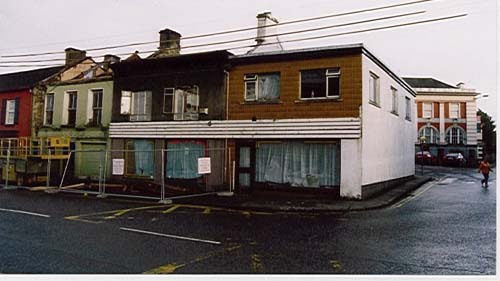 Up to the 1990’s Jerry O’Riordan’s was one of a number of grocery shops in the Square in Millstreet. In June 2003 the three houses at the corner of the square which made up the shop and store were to be demolished to make way for the new credit union. 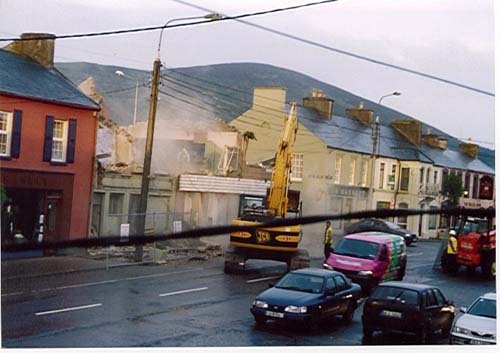 Seán Radley was on hand to take photos of the demolition and at the time were published on what was then for a short time, the Millstreet website (millstreet.20m.com). 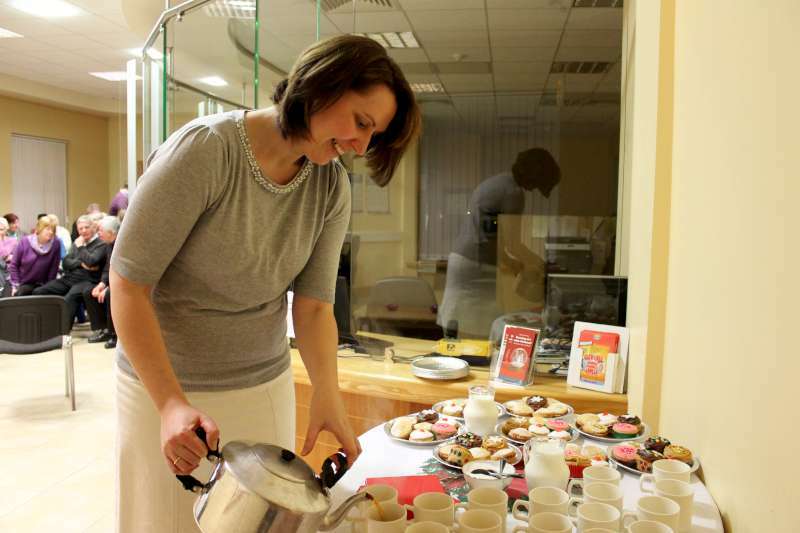 Manager Bridget Fitzgerald ready to serve the wonderful refreshments. 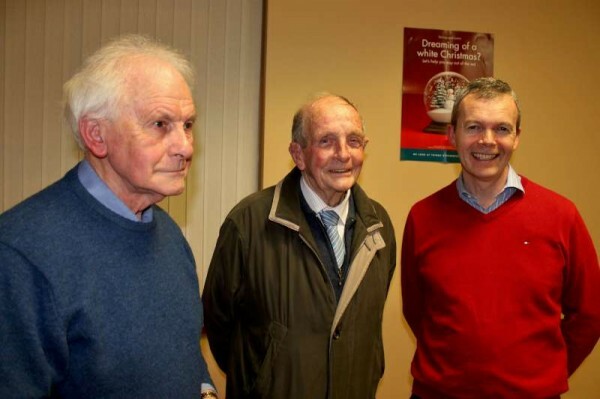 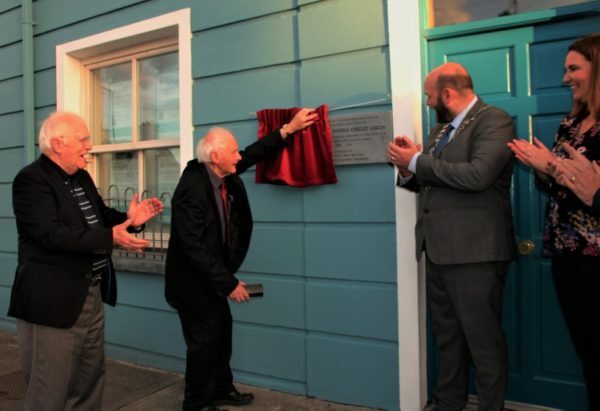 William Kiely (in red) with the two Founder Members of Millstreet Credit Union – from left: Dermot Kiely and Liam Coffey.